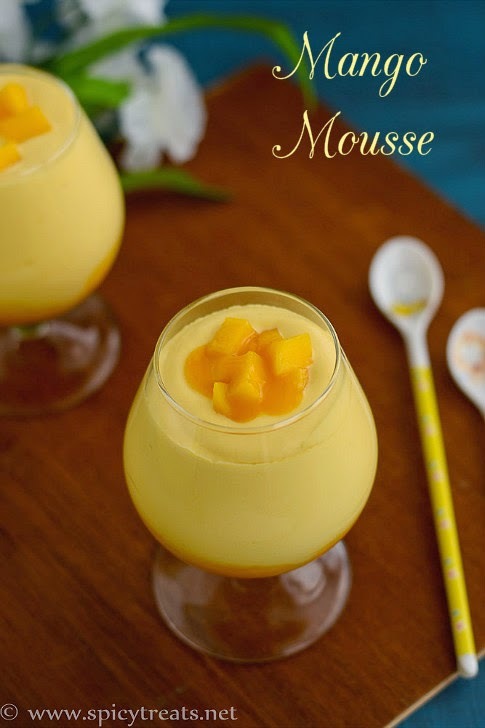 Mango Mousse is a rich, delicious and real delightful dessert for Mango lovers. This is an eggless, gelatin free and quick dessert that requires only 2 ingredients. After trying Nutella Mousse, I tried this Mango Mousse with the left over heavy whipping cream. I shared with my friends, they loved it too. Simple dessert with great taste and perfect to make any trifle or you can use to mousse to frost cake. I used canned sweetened Mango Puree,if using fresh mango puree adjust sugar accordingly and try to make mango puree without any water. 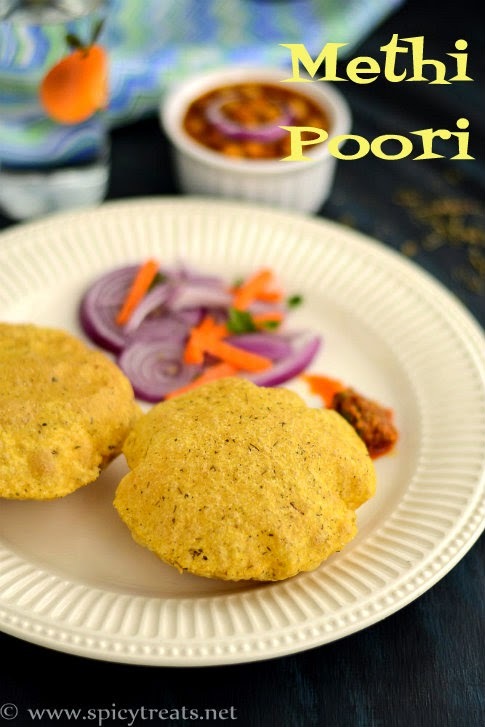 Poori is a deep fried flat bread that can be prepared using whole wheat flour & APF. Poori, Batura are my kids most favorite tiffin items but I rarely make it for them. Even though pooris are easy to make, I am lazy to do deep fry stuffs and will cook only to feed blog. But the things are changing now, as my kids listing the menu to cook what today and what they like to have. 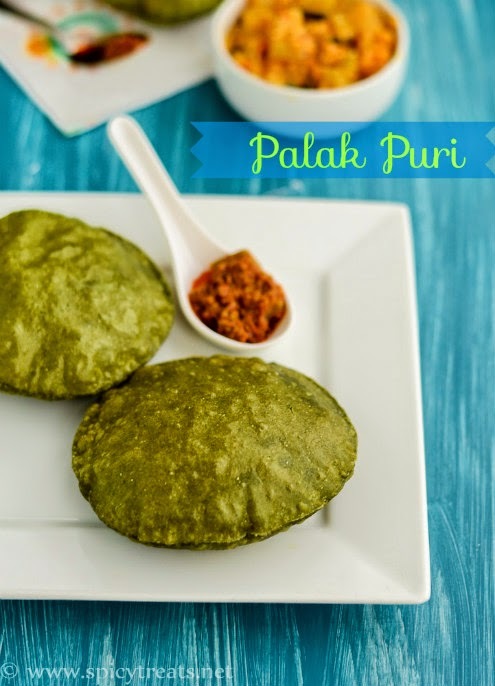 And often Poori will be in their list, so this time it is Palak Puri/Spinach Puri. The little one was so much excited to see green colored puris and he loved it a lot. I also prepared Palak Rasam with the left over palak puree(I used a big bunch of palak to make puree) and that was super hit more than this palak puri. I wanted to make it again to share here as it tasted so good and healthy too. time spending in the kitchen especially during weekends. 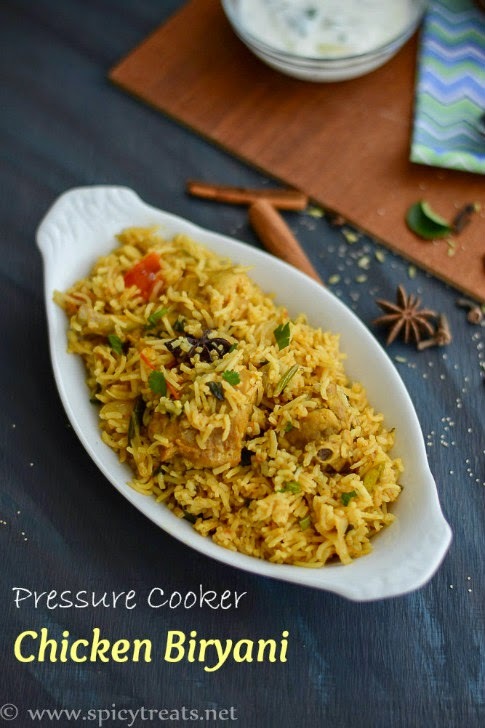 Pressure cooker Chicken biryani is a simple version of biryani with great taste and flavor. As chicken does not take more time to cook,this whole cooking process takes 30 minutes or less time. A complete meal in 30 minutes or less. Here, I used 1 cup coconut milk but you can skip or replace it with yogurt or chicken stock or simply cook with water. 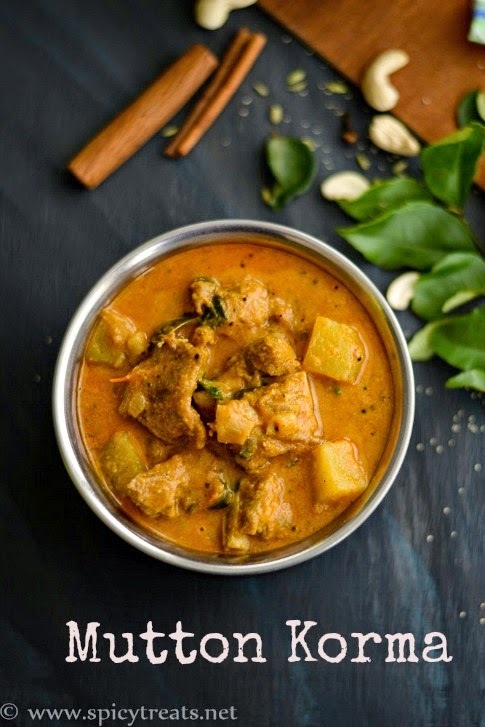 Coconut milk enhances the taste and flavor also using chicken or meat stock/broth gives rich flavor to the dish. I have already share Chicken Biryani using Yogurt recipe and today lets see the easy pressure cooker method using coconut milk. Labels: biryani, chicken, coconut., non veg recipes, one pot meal. 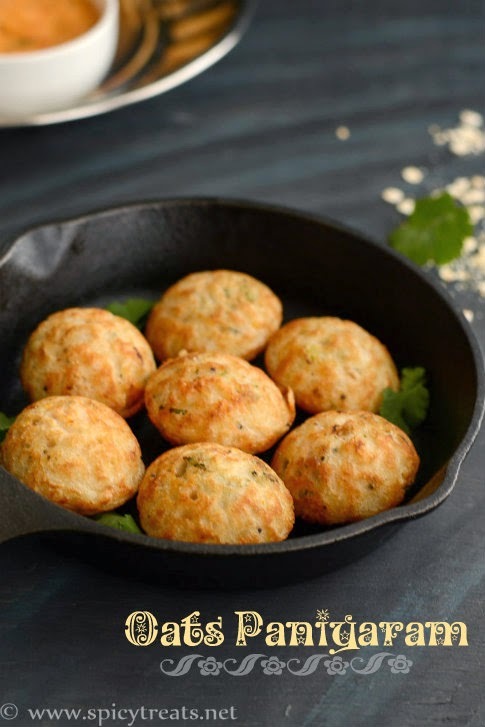 Oats paniyaram is an Instant recipe that can be prepared using some left over idli/dosa batter. 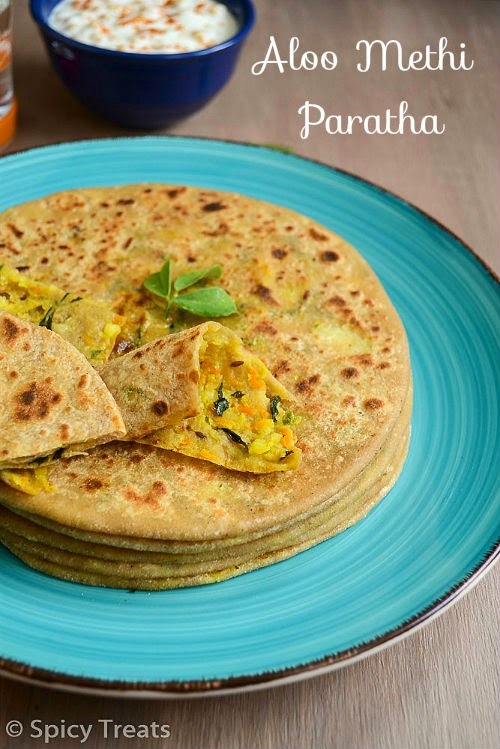 This oats paniyaram is a healthy, yummy and filling dish that can be served for breakfast, dinner or a perfect after school snack for kids. 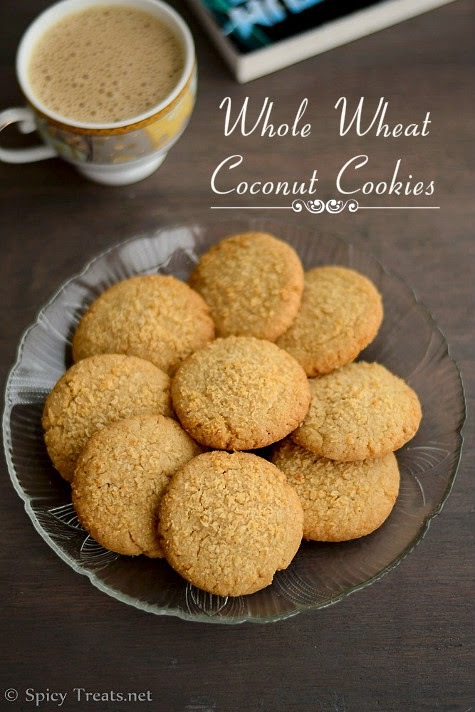 Here, I used store bought oat flour but you can make it home easily by grinding the rolled oats or quick cooking oats in blender and add it to the recipe. It is good to include oats and other whole grains in your daily meal. Whole grains are rich in fiber and low in calories and also they helps to reduce blood cholesterol and aids in good digestion. I use oats, millets, legumes and lentils in my daily cooking along with veggies. 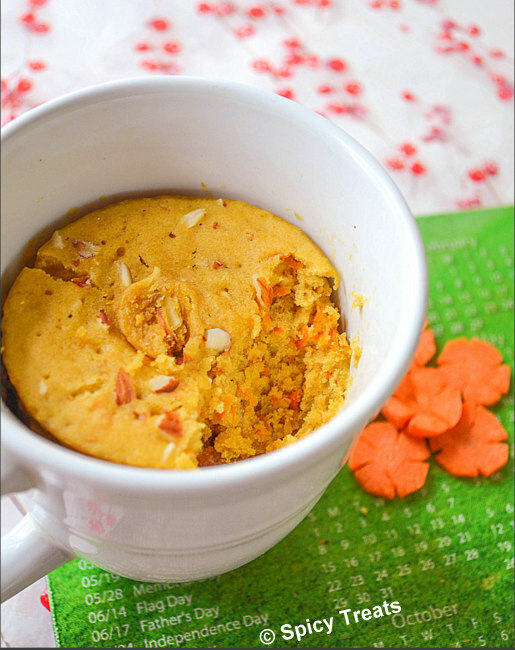 Oats Paniyaram is one such healthy recipe with great taste. To make it even more tasty and crispy I also added some semolina/sooji/rava and rice flour to the batter. 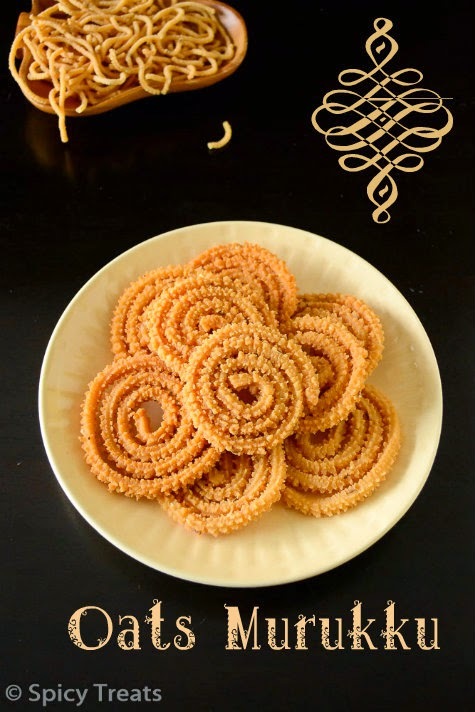 This oats paniyaram is not only my kids' favorite V also loved it a lot. 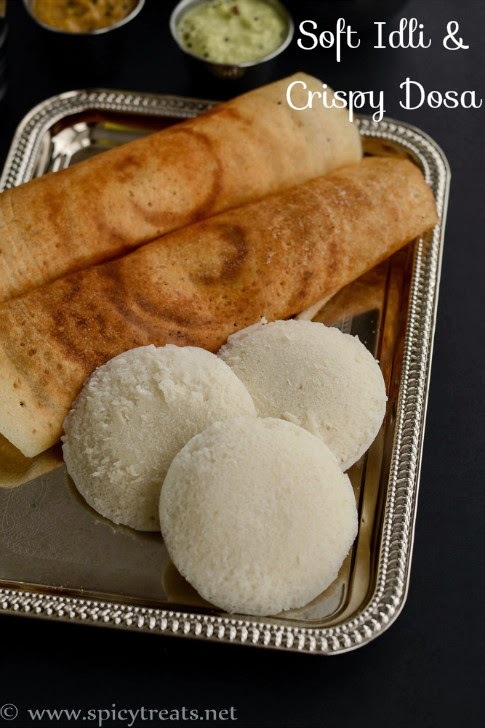 If you don't have paniyam pan/Appam pan or Aebleskiver pan no worries, you can use your tawa/griddle or any wide pan and make it as thick pancake or Oats Oothappam. I tried that too, oats oothappam turned out soft and yummy. Now off to the recipe. Strawberry Milkshake Recipe | Vanilla Strawberry Milkshake Recipe | Fresh Strawberry Recipe Ideas! Milkshake or Ice cream Milkshake, The only milk based drink that my kids love. My kids usually prefer lemonade or mocktail kind of drinks and very rarely likes milk based drinks that too only milkshake and Strawberry Milkshake is their most favorite of all. Milkshake or smoothies can be prepared with very less or available ingredients. These less ingredients recipes sometimes does magic in our kitchen sure to please everyone with its deliciousness. 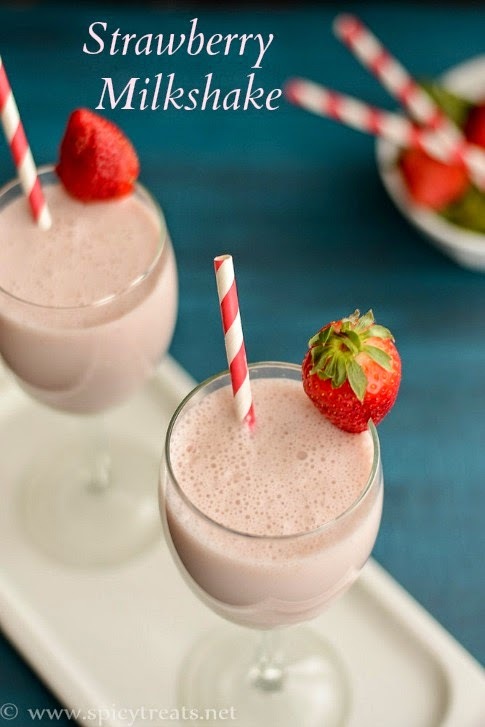 And one such simple recipe is this Strawberry Milkshake recipe. Also these milkshake/smoothies are easiest way to feed fresh fruits to the fussy eaters. But my kids they prefer milkshake or smoothies only if it is prepared with strawberries or Banana or chocolate. 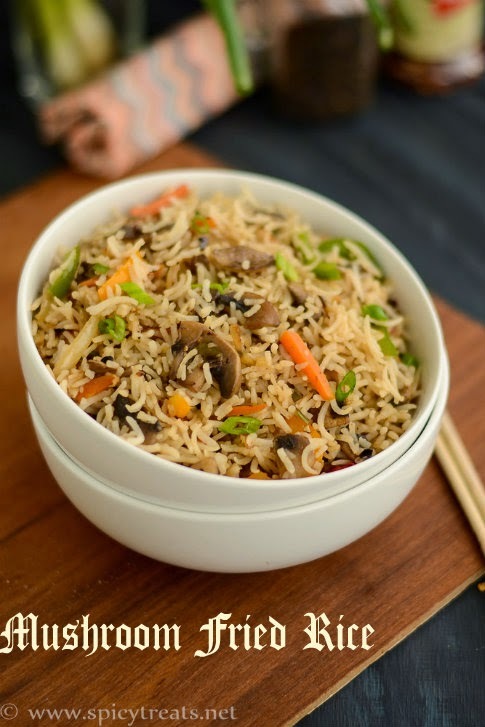 Kuthiraivali Tomato Pulao is a simple yet flavorful and healthy one pot meal recipe with step by step photos. Few Months back I saw this millets in Indian Grocery Store in the name of Mario/Vrat Chawal. The grains looked tiny and pale in colour. It also resembles like a Millet grain and checked Google. Then found to know that it the same Kuthiraivali/Barnyard Millet. This Morio/Mario/Sawa Millet/Barnyard Millet is cooked and eaten during fasting days and hence it is also called as Vrat Ke Chawal. I was happy to found another variety of Millet in my place and immediately bought a packet to try it. I have been using Foxtail Millet/Hulled Millet/Thinai in my cooking and have shared few recipes here too. 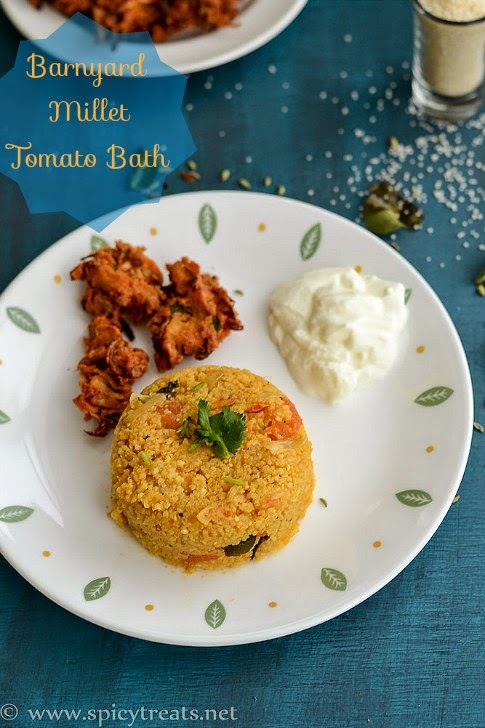 With Barnyard millet I tried this tomato pulao and it turned good. 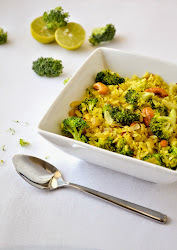 Mildly flavored and easy to make one pot meal recipe perfect to pack for lunch box or makes a great weekend vegetarian meal along with some raita & vegetable stir fry. I served it with plain homemade curd & Onion Pakoda. Nutella Mousse Recipe | Eggless Nutella Mousse | 2 Ingredients Nutella Mousse Recipe - Easy Nutella Recipes! Two Ingredients Nutella Mousse is a simple yet delicious dessert recipe. 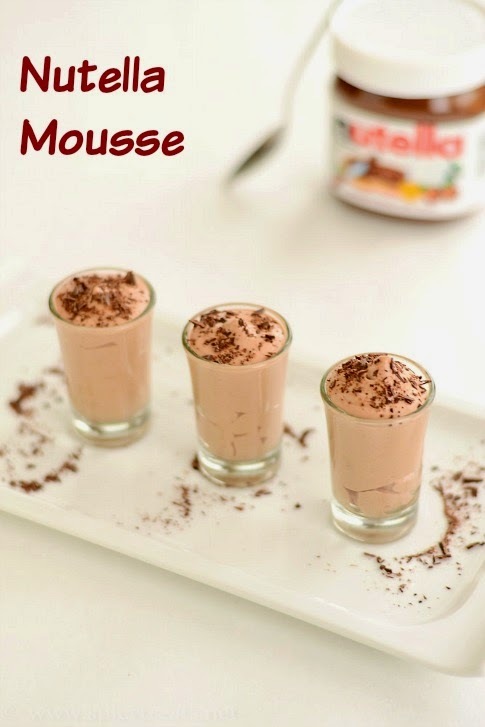 For all those Huge Nutella Fans this Eggless Nutella Mousse is one must try recipe. It took no time at all to make and also requires only 2 ingredients. Last week on Instagram one of my friend shared this Nutella Mousse pic and I was so much tempted and impressed with this simple recipe. Also, I had a reason to make this dessert, Yes.,this is my 800th post & I LOVE Nutella. Can't believe that my small space has 800 recipes in 3 years. Somehow I missed to feature my 600th & 700th post but this time decided to share it with some sweet recipe. Here's my 800th post Nutella Mousse, so simple, rich and smooth delicious Mousse tastes similar to Chocolate Mousse. 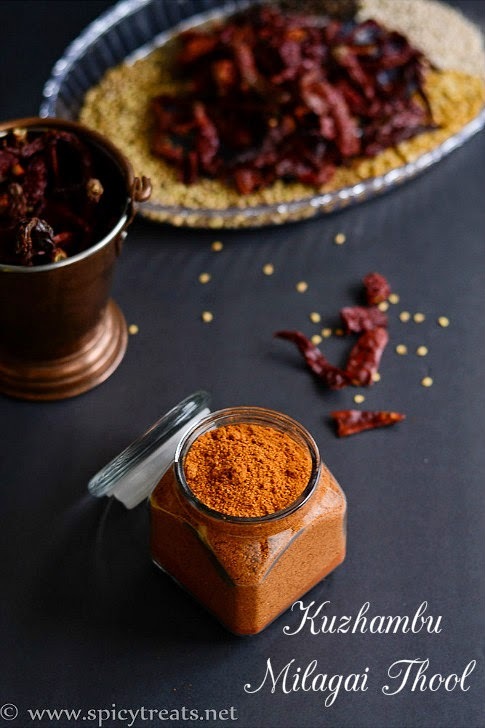 Kuzhambu Milagai Thool is nothing but a chilli powder mix with dal and other spices. For any south Indian dishes like Kuzhambu, Stir Fry/Varuval, Sambar, Poriyal this kuzhambu milagai thool is used traditionally and that gives unique taste, flavor and authentic touch to the dishes. 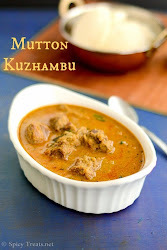 I like to use kuzhambu Milagai thool for my south indian kuzhambu recipes instead of plain red chilli powder. But here, I do not find kuzhambu milagai thool now-a-days, So I prepare it at home. Last year when my Bil visited us, My Mom-in-law has sent few packets of fresh Homemade Milagai Thool & Dhaniya powder. She prepares such flavorful dhaniya & milagai thool like my Grand mom. This is my Mom-in-law's recipe, I got it for a small portion that stays for 1-2 months. She uses sun dried dry red chillies and dhaniya and roast only the other ingredients, but here sun drying method is not possible during winter season and that time I usually roast all the ingredients and grind it. 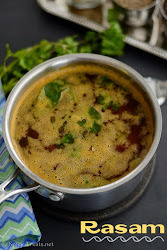 Kara Kuzhambu, Puli Kuzhambu, Egg Kuzhambu, Masal Kuzhambu, Varuval tastes good and flavorful when cooked using this Milagai thool instead of plain red chilli powder. 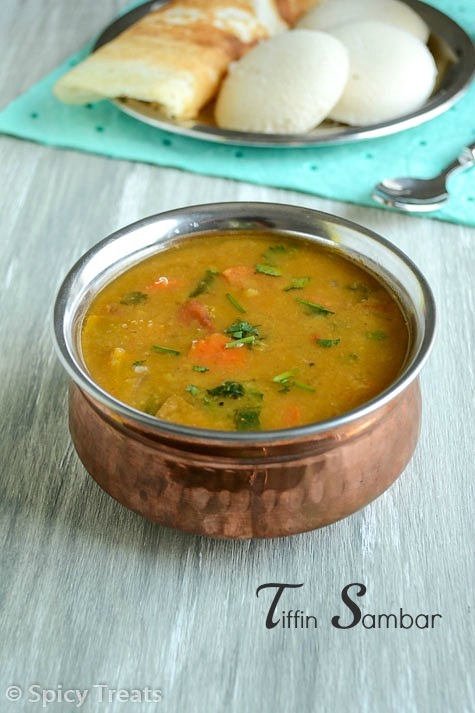 If you want to taste authentic south Indian dishes then you must try it with this Milagai Thool. You can even use this chilli powder to make Sambar and all other day to day cooking except for North Indian Curry & Sabzis. 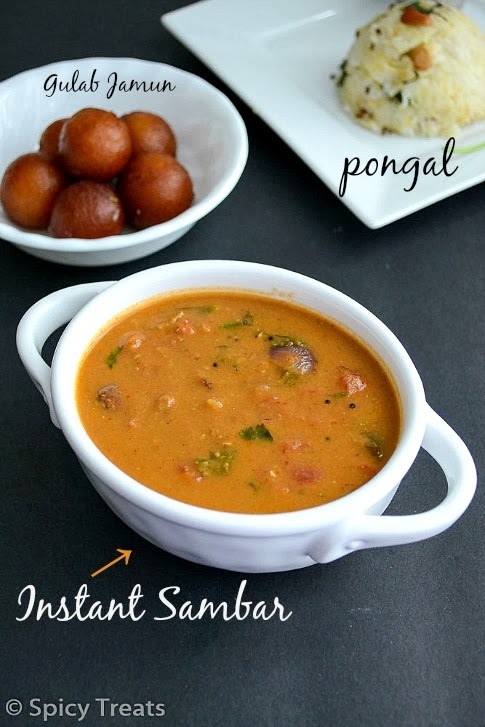 Even Without Sambar powder, sambar tastes good and flavorful with this chilli powder. For North Indian style gravy/sabzis you have to use plain chilli powder without other spices & lentils combo. 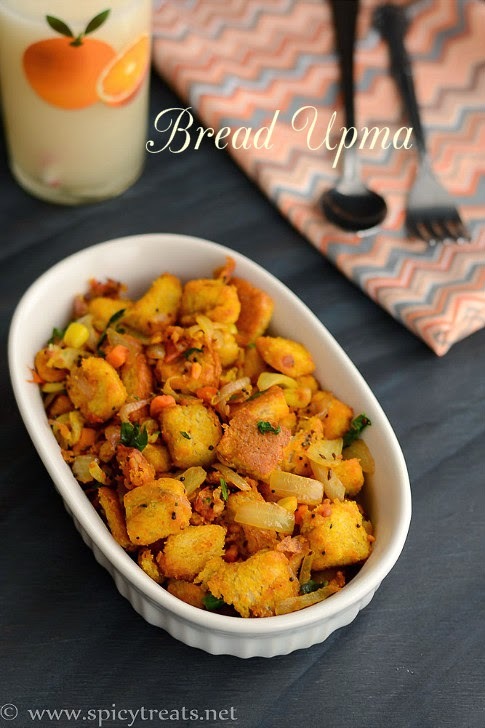 Bread Upma is a very simple and quick recipe that can be prepared within 10 minutes. If you love to eat bread in savory form then Bread Upma is one of the best choice for savory bread recipes. You can serve it for breakfast along with some fruits or fruit juice Or it can be served as a tea time snack. I usually prepare this bread umpa for evening snack time. I have already share Bread Upma recipe that is prepared with toasted bread and with yogurt. 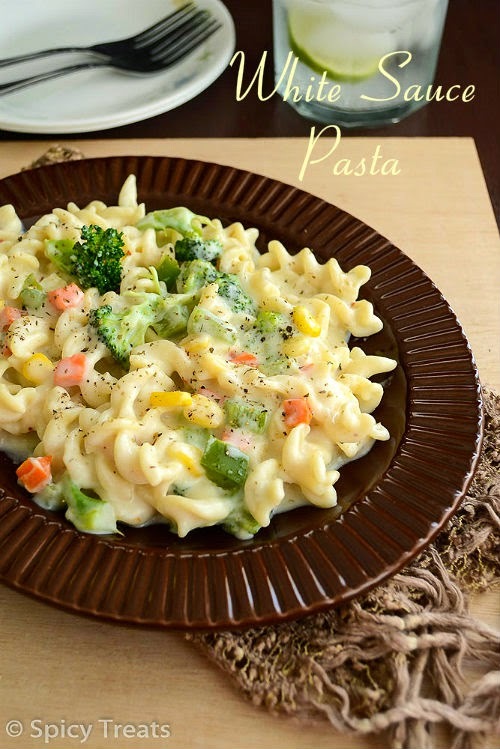 But today's recipe is a simple one using fresh bread and vegetables. Add as many vegetables as you like and add spices to your taste. 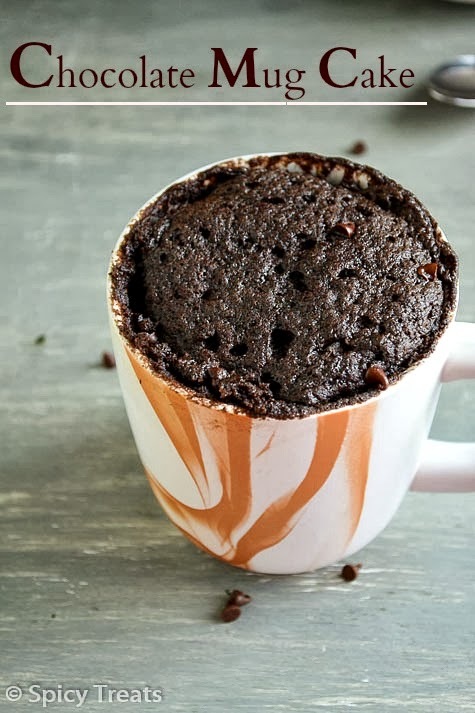 Mine is a simple version without any masala, a perfect kids friendly recipe. To prevent mushy bread upma, use chilled bread. The chilled bread is easy to get nice and perfect cubes and also after stir fry bread stays soft and perfect. 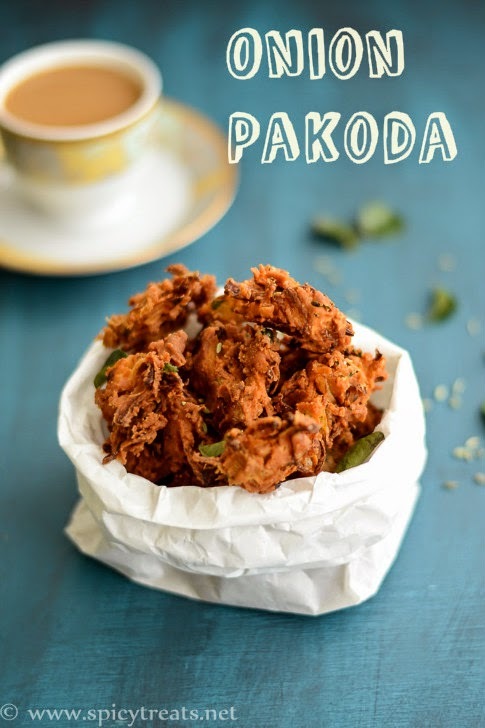 Onion Pakoda/Vengaya Pakoda is a quick and easy to make Instant tea time savory snack. 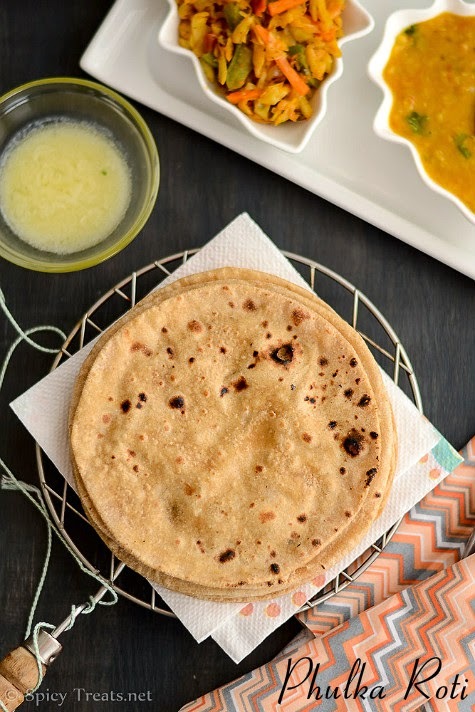 This can be prepared in no time if you have besan flour and rice flour in hand. Not only as a snack, this onion pakoda makes a perfect side dish for any south Indian Variety rice, Rasam & Rice, Sambar Sadham etc.,I usually make Onion Pakora,north Indian style Pakora that is crispy and slightly soft texture. But this Onion Pakoda is crispy and crunchy ones that is similar to the ones we get in our Tea Kadai/Tea shops, Bakery Shops in Tamil Nadu. In salem(my home town), you can find this flavorful onion pakoda in any bakery shop, tea stall during noon & evening time. There are few bakery shops in Town area & Agraharam street where they prepare fresh pakoda every day. V is more fond of deep fried snacks and this onion pakoda is his most favorite of all snacks. But i rarely make it for him and I usually prepare the Pakoras/bajji kind of snack that is served with Chaat Chutneys or ketchup. So this time, I prepared for him and to share it here on my blog. 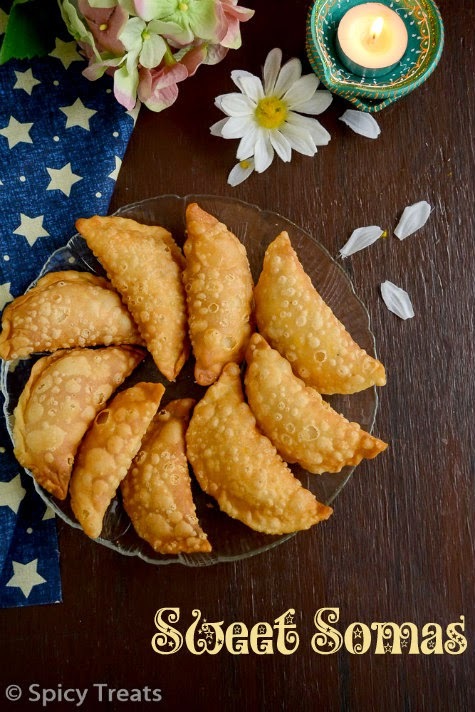 This Vengaya Pakoda doesn't require any dipping, crunchy and flavorful snack. Here,I used onions but you can also use cabbage to make Cabbage Pakoda, Spinach or any greens to make Keerai Pakoda. And Munthiri Pakoda with addition of Cashew nuts. I have already shared Cashew Almond Pakoda for kids, Bittergourd Pakoda/Pavakkai Pakoda really good snack for diabetic people. 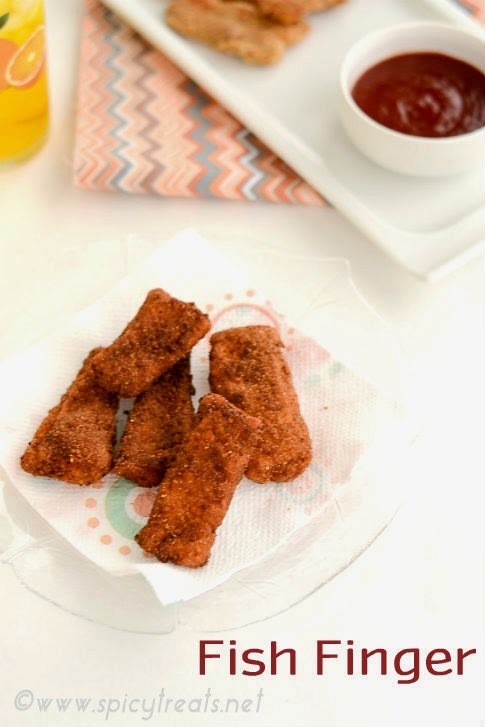 Today's recipe is a simple Kids friendly Fish Starter, Fish Finger both Deep fried & Baked Fish Finger version. Last month When I prepared Breadcrumbs with Homemade White Bread I immediately wanted to try some cutlet or Croquettes with it. But then I got to remember that got some King Fish Fillet at Whole Foods On weekend. So instead of cutlets, tried this easy Fish Finger recipe and it turned out great. My kids loved it a lot, they even liked the baked fillet too. I do not eat fish so I couldn't say about the taste but my kids thoroughly enjoyed it. You can add any spices to your taste or to your kids preference I mildly spiced the fish fillets and set it rest for 20-30 minutes. But you can fry or bake them immediately. Resting time definitely gives better flavor and taste to it. Fish Finger are easy to make and can be served with ketchup or any kind of creamy or spicy dipping. 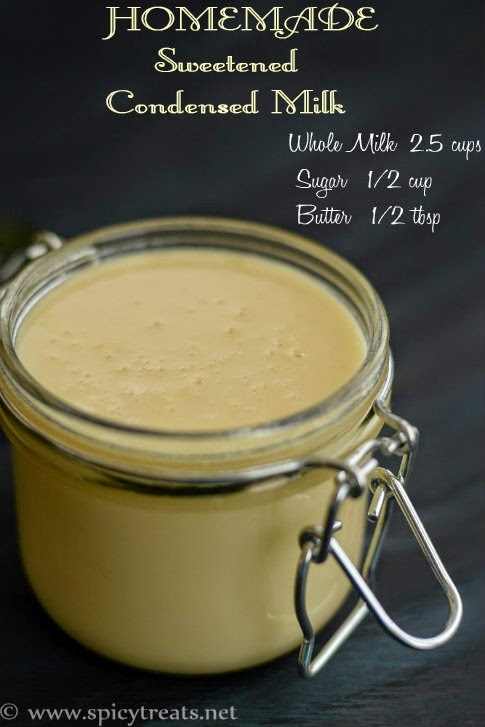 How to make Sweetened Condensed Milk at home, recipe with detailed step by step photos. Today I am sharing the recipe for Homemade Condensed Milk Using Milk & other recipes using Milk Powder, an Instant and easy version. V doesn't allow me to buy canned products, its been 2.5-3 years we stopped buying canned products and occasionally I buy Sweetened Condensed Milk & Mango puree. But now-a-days I even stopped buying Condensed Milk/Milkmaid from stores, I make it fresh at home easily. Homemade Condensed Milk is so fresh, flavorful, delicious and above all free from all preservatives. Wishing Everyone a Happy Holi. 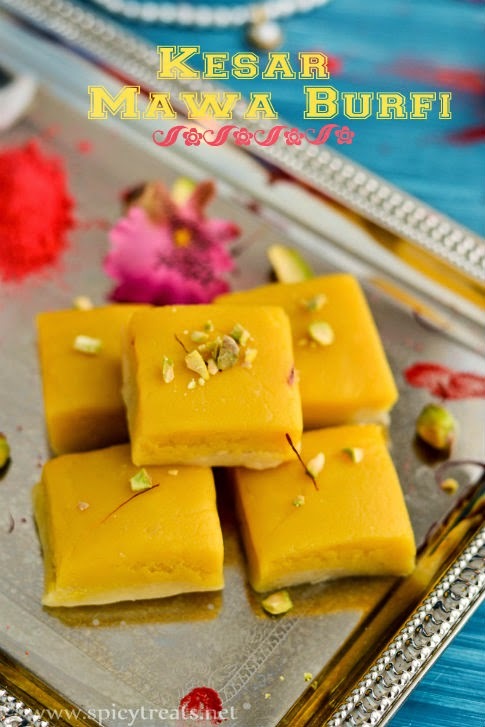 On this special occasion, I am sharing a simple and easy to make burfi Instanly using Mawa Powder or Milk Powder & Kesar/Saffron. This is a rich and delicious burfi with two layers, one is plain burfil & the other one is Kesar Burfi, that is burfi flavored with Saffron or kesar. I have one more reason to share a sweet recipe with my friends & readers. The reason is, 10 of my Broccoli Recipes published in this month edition, March Month's Aval Kitchen Magazine. My sincere thanks to Aval Kitchen team for featuring my recipes in their magazine. This is the first time my recipes published in Magazines and I am so happy and excited on seeing the magazine pages with my own pictures and recipes. Thanks to my family, friends & readers for the constant support and encouragement. Easy, healthy and delicious Restaurant style Sweet Corn Vegetable Soup Recipe with Step by Step Photos. I always love simple and clear soups than the blended/creamy soups. 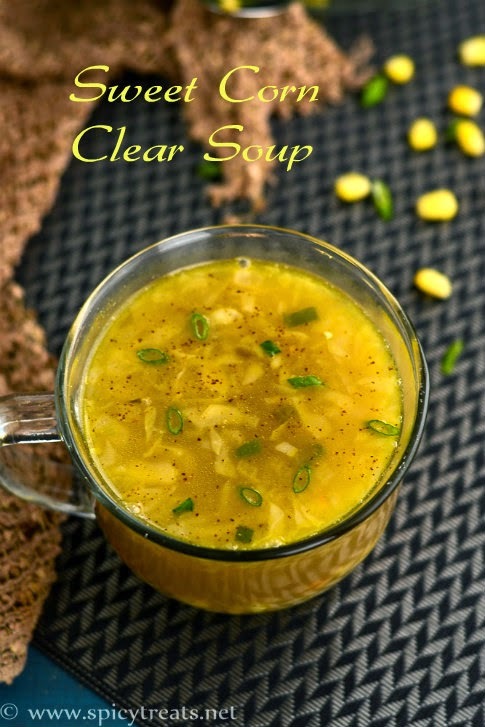 I often make Cabbage clear soup for me, it is like a diet soup. Except me no one likes that cabbage soup so for them I made this restaurant style Clear Soup with Sweet corn, Mixed vegetables & green onion(spring onion). 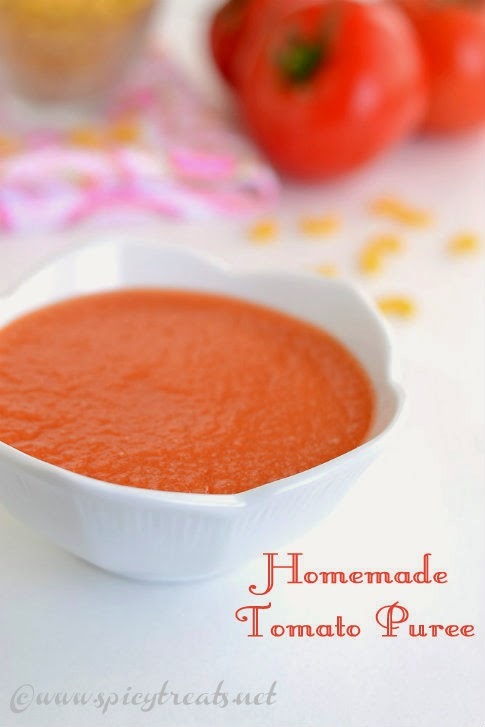 It turned out good and even my kids loved this soup. This is a mildly spiced, light soup loaded with fresh vegetables. You can add any vegetables of your choice, here I used Sweet corn, carrots, beans, cabbage, green onion. Like my other soup recipes, here also I used Homemade Vegetable Stock/Broth but you can use store bought or plain water too. But try to make it vegetable stock. Making stock at home is so simple and easy, if interested checkout my Vegetable Stock recipe. This time, I added a small piece of Cinnamon to my stock and the cinnamon flavor was well incorporated with the stock and the soup was flavorful and healthy too. Kale or borecole (Brassica oleracea Acephala Group) is a vegetable with green or purple leaves, in which the central leaves do not form a head. It is considered to be closer to wild cabbage than most domesticated forms of vegetables, wiki says. Kale is rich in Vitamin K, Vitamin A, Vitamin C, Iron, Magnesium, anit oxidants etc.,Most important health benefits of consuming Kale regularly helps in blood glucose control in Diabetes and also lowers the blood pressure. Though I cook Kale dishes often, never get a chance to click and share here. Like Broccoli, Kale also suits well with Indian spices and Indian recipes. The taste of Kale Poriyal is similar to that Drumstick leaves Poriyal. Though the fresh kale has different flavor from Drumstick leaves, the cooked one tastes like Drumtick leaves. I love drumstick leaves recipes a lot, but I do not see here often. So, started using Kale in place of Drumstick leaves. 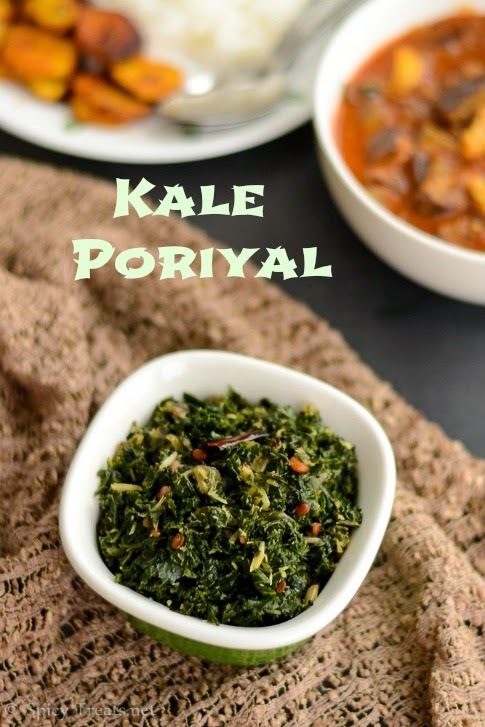 This Kale Poriyal is a simple recipe and makes a perfect accompaniment for Rice & Rasam or with Curd Rice, Lemon Rice & Sambar Sadham. We had Kale Poriyal with plain rice, Brinjal Puli kuzhambu, Vazhakkai Varuval & Fresh Homemade Curd.